Honda showcased the new Accord at the Auto Expo 2016 and has now launched it in India. The much loved D-segment sedan has made a comeback in the Indian market. 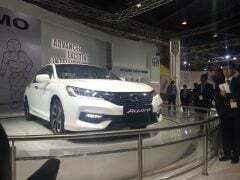 Honda launched the new Accord TODAY priced at Rs. 37 lakh (ex-showroom Delhi). Honda is offering the Accord with a Hybrid powertrain to take on the Toyota Camry. 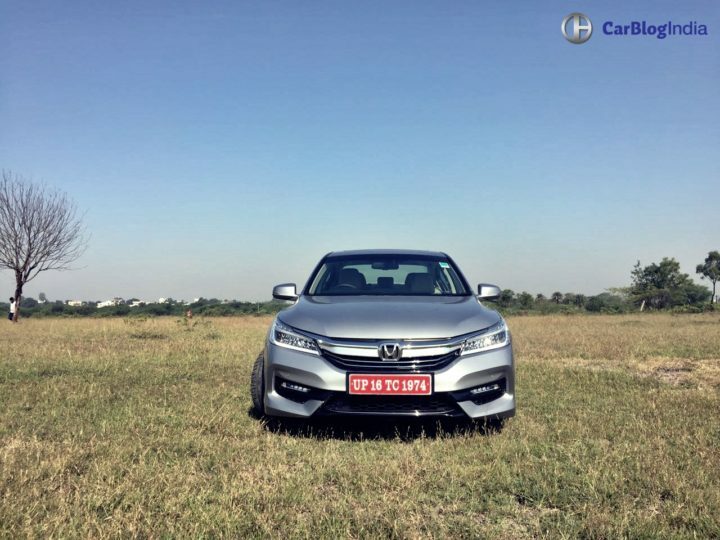 Check out our report here for all the available new Honda Accord 2016 India launch details. 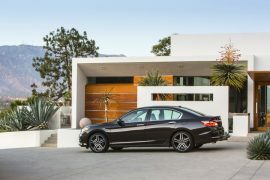 The ninth-generation Honda Accord sedan was already on sale abroad. The earlier generation Accord was discontinued here in India in 2013. This was done due to poor demand for the petrol powered car in the Diesel friendly market. 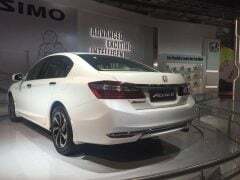 The new Accord, however, has been launched in India as a hybrid model. Powering the new Honda Accord Hybrid is a 2.0-litre 4-cylinder Petrol engine and a 1.3 kW Li-on battery. 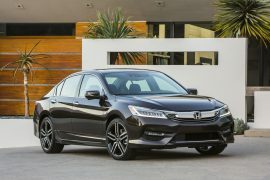 The new Accord becomes the second car in its segment, the first being the Toyota Camry, to boast a hybrid powerplant. The 2016 Accord comes at a time when Petrol cars are gradually regaining popularity. 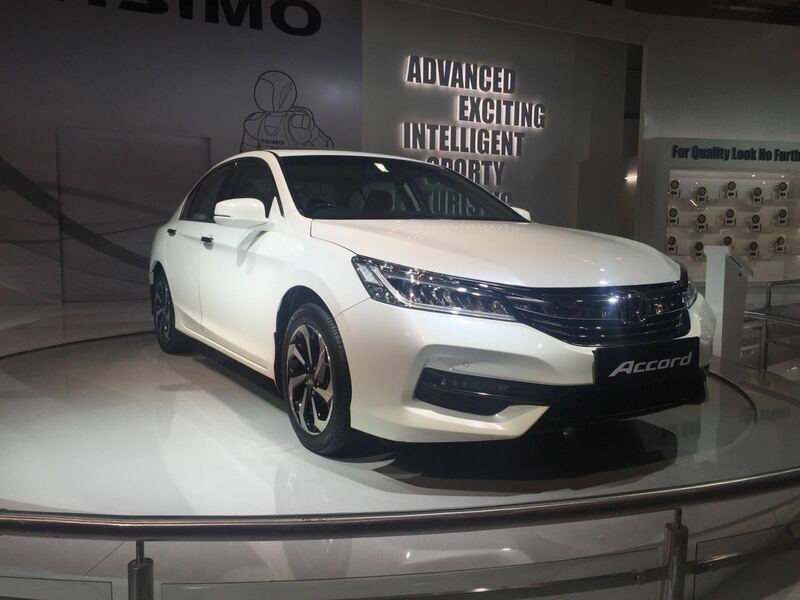 The new 2016 Accord becomes the new flagship in Honda Cars India’s product portfolio. The new model comes to us via CBU route. You can book the new Accord in India for Rs. 50,000. 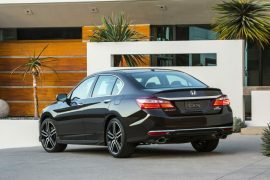 The latest model of the Accord made its debut in the year 2013 and went under the scalpel for a facelift. 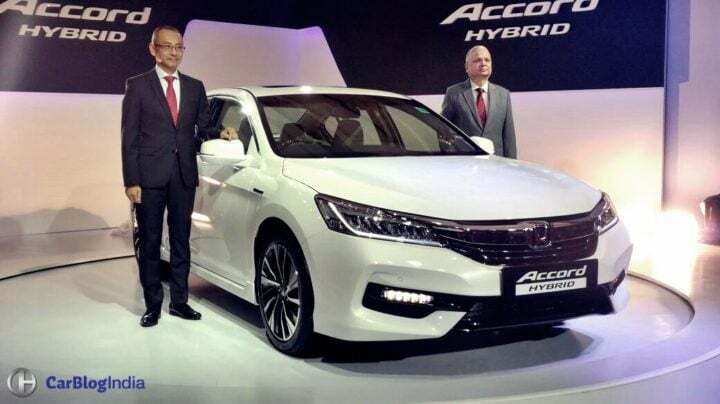 The India launch of the new Accord Hybrid marks the return of the Accord nameplate in India. This D-segment sedan has gone on sale in India at Rs 37 lakh (ex-showroom Delhi). Currently, the Toyota Camry Hybrid is on sale in India at Rs. 30.90 lakh (ex-showroom Delhi). Despite having a hybrid powertrain, the new Accord is not eligible for discounts under the FAME scheme as it comes to us via the CBU route. This means the price is high thanks to heavy import duties. 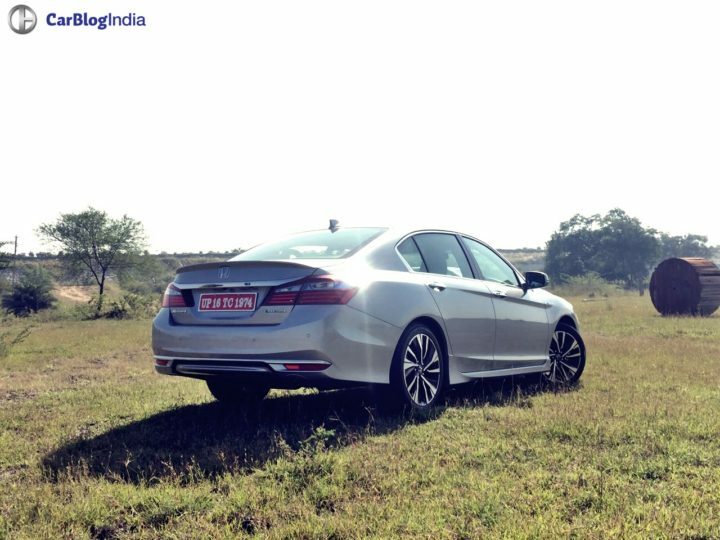 As a result, the Accord Hybrid costs 6.10 lakhs more than the Camry Hybrid! According to reports, the first batch of around 40-50 units of the new Honda Accord has already been sold out. Powering the new Honda Accord 2016 is a Sport Hybrid i-MMD (Intelligent Multi Mode Drive) powerplant. This system consists of a 2.0-litre, Atkinson Cycle, i-VTEC petrol engine that develops a max. power of 145 PS at 6,200 rpm. Peak torque of 175 Nm comes at 4,000 rpm. The 1.3 kWh lithium-ion battery pack produces 184 PS between 5,000 to 6,000 rpm. It also produces an instantaneous peak torque of 315 Nm. 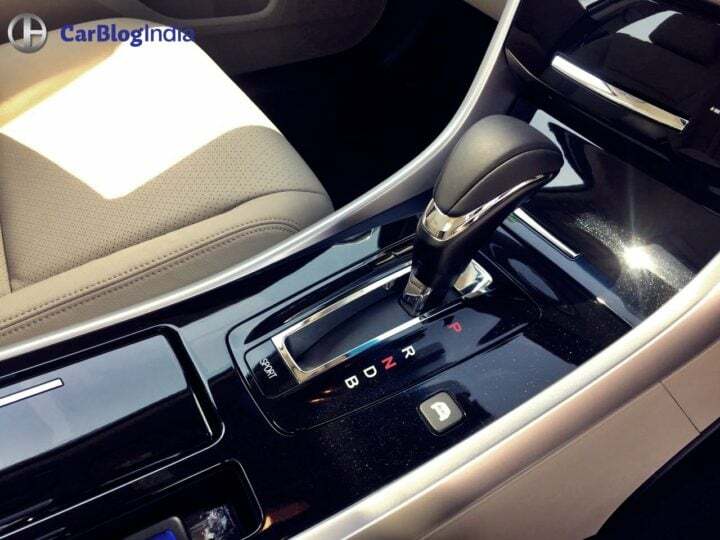 The engine comes mated to an E-CVT automatic gearbox. The new Accord also offers steering-mounted paddle shifters. The new Honda Accord 2016 looks nothing like the earlier Accord that was on sale in India. It gets a striking front-end that boasts of a large chrome-plated grille, stylish headlamps that have LED fixtures and LED fog lamps too. The Other highlight here is a sporty bumper that has some chrome garnishing. You’ll be quick to appreciate the very sporty alloy wheels when viewing this car in side profile. The rear-end has highlights such as chrome garnishing on the boot-lid, an integrated boot spoiler, a sporty rear bumper and LED tail-lights. Honda says that the new model Accord’s interior is designed as per its ‘Man Maximum, Machine Minimum’ philosophy. Hence, the new 2016 Accord’s interior benefits from high cabin space. 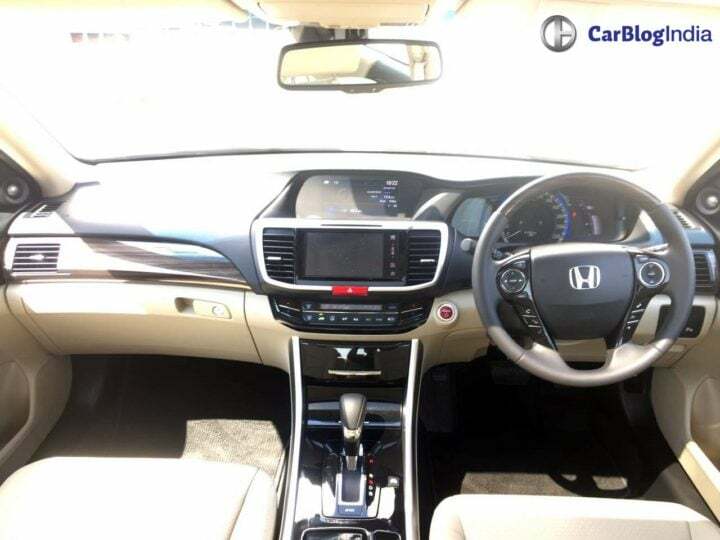 The new Accord’s interior is loaded with features and is highly ergonomic. It gets a 7-inch touchscreen interface for the AVN (Audio, Video and Navigation). 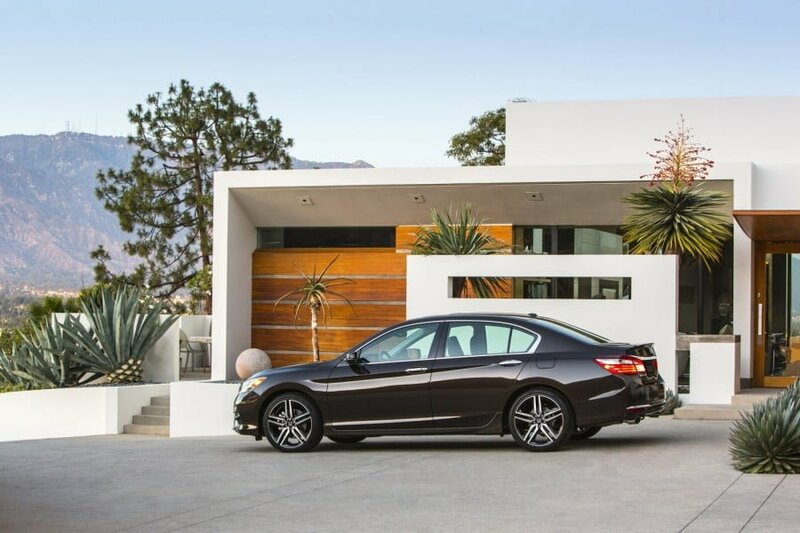 The new 2016 Accord comes in just one Hybrid variant. The hybrid locks horns with the Camry Hybrid. The hybrid car market is slowly picking up in the country, and Honda could capitalize on this trend. Worth a mention here is that Honda was the first in the segment to have launched a hybrid version of the Civic, but thanks to unfavourable market dynamics prevailing at that time, the car never sold well. However, things seem to have changed, and Honda might enjoy a better fate with its second hybrid for India. 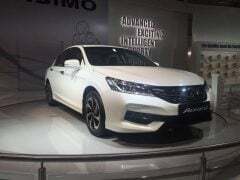 Internationally, the new model Accord is being sold with 2.4-liter four-cylinder direct injected petrol engine that churns out a maximum power of 185 hp, and comes mated to a CVT/six-speed manual gearbox. As for the hybrid model, the same was showcased in India back at the 2014 Auto Expo and is equipped with a 2.0-liter four-cylinder petrol engine coupled with a 124 kW electric motor. Together, the hybrid powerplant produces 215 PS and comes paired to an E-CVT gearbox. 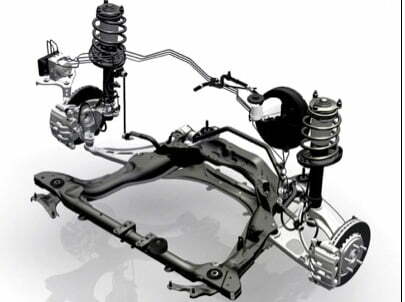 Instead of the earlier car’s double wishbone suspension, the new Honda Accord 2016 sports a McPherson strut. Hence, the new model is lighter by up to 24kgs. 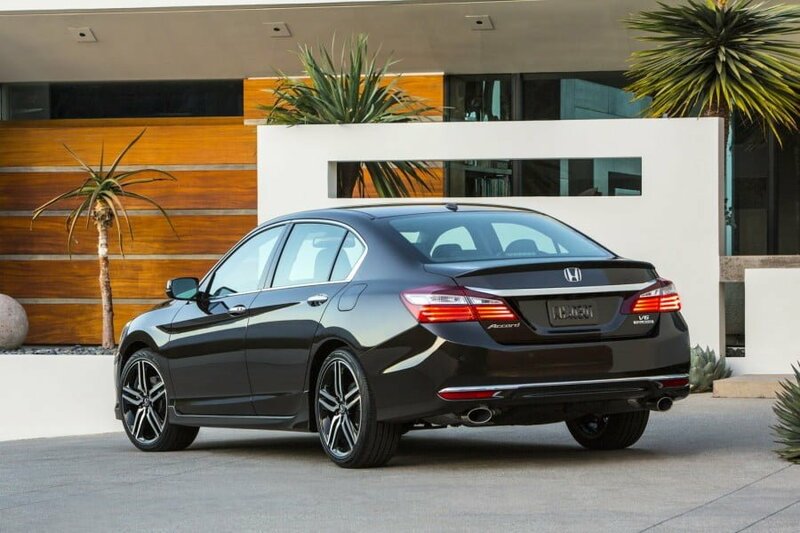 Furthermore, the new Honda Accord 2016 has a stiffer chassis than the earlier model. Also, the Accord’s overall length and wheelbase is now 80mm and 25mm shorter. The new 2016 Accord, as a result, is sportier to drive. Stay tuned to Car Blog India for more on the new Honda Accord 2016 India launch, price in India, specifications, features and other details.